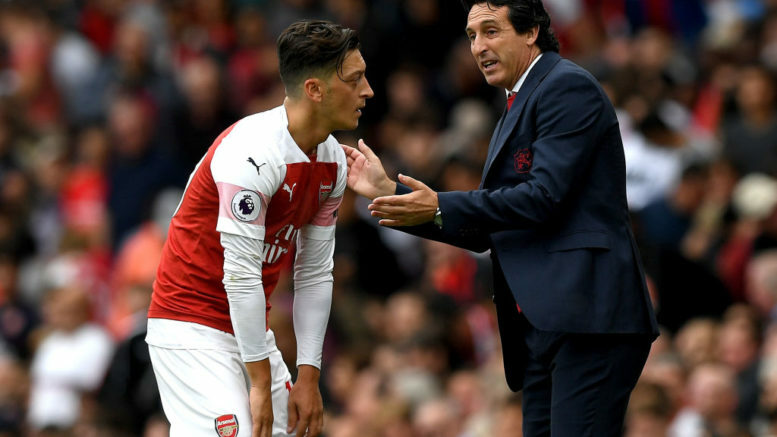 Arsenal hero Emmanuel Petit has slammed Mesut Ozil for his efforts over the past two years. Petit’s remarkable outburst came after Ozil was substituted at half time in Arsenal‘s draw at Brighton on Boxing Day which raises more question marks about the World Cup winner’s future. He said: “Mesut Ozil was taken off at half-time. I’m a big fan of his, but he has been a ghost for two years. Petit also claims that Arsenal‘s biggest weakness is their “average defence’ and ultimately that will undermine Emery’s chances of success this season. Petit added: “In defence they are weak, they’re average. They make individual and collective errors. Sometimes you have to laugh. They injuries are not an excuse, most of the players who stepped in are internationals. “The quality they had been showing vanished (at Brighton) and it became obvious what their weakest link was – the defence. Be the first to comment on "“Worst ever” – Arsenal hero says Mesut Ozil a ghost with no desire"